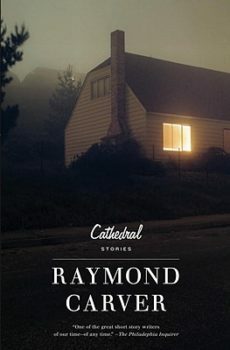 “Those are the moments when the book comes alive, precisely the moments when you, the author, seem to have the least say-so over it”: Lamar Herrin talks with Paul Cody about Southern writing, Homer, and his new novel, Father Figure. “My sense is that the job of a writer is to direct his or her gaze at what we would otherwise hurry past”: Mark Powell chats with R. Mac Jones about the “Rough South” and his new novel, The Sheltering. R. Mac Jones chats with Julia Elliott about her new novel, The New and Improved Romie Futch, heshers, and baboons. “I would be doing a great disservice to my fiction, to my readers, and to myself if I ever wrote about any other place”: David Armand talks with Dixon Hearne about landscape, Southern Louisiana, and his forthcoming novel, The Gorge. When Wiley Cash found himself homesick for the mountains of western North Carolina, he didn’t drive or fly home—he wrote his way back. In this interview, Cash discusses the importance of place in his debut novel, the legacy of Southern literature, and the influence of mentors on his work. Doomed love with a dark twist. Lush historical details elevate Ron Rash’s The Cove. In this wide-ranging review, Brad Wetherell looks at Tom Franklin’s newest novel Crooked Letter, Crooked Letter and considers the way Franklin subverts genre expectations, as well as how e-readers like the Kindle have the potential to change readers’ expectations.